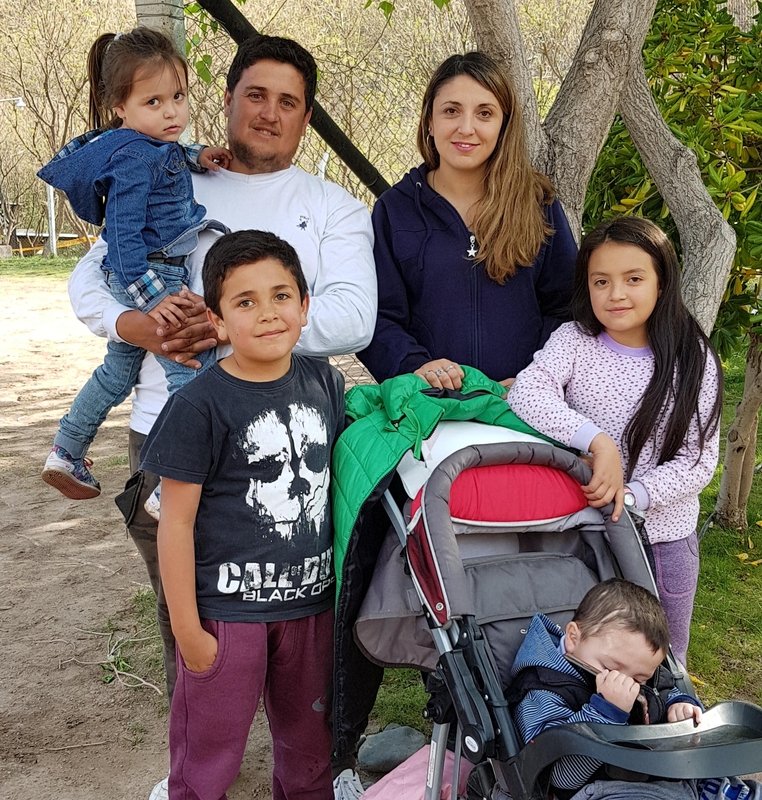 Maribel and Gastón have four children. Today they are 11, 8, 6, and 4 years old. The second child, Thiago, started having epileptic seizures when he was only a month and a half old and they found a tumor in his brain. After a risky surgery, the infant suffered from a stroke and two heart attacks. The doctors did not know what to do. This is where God met the parents. They were angry, desperate, and with a heavy heart, they asked him “Why?” God used the pastor of the church in Tupungato who started talking with them. They submitted themselves to the will of the Lord and they cried to him for help. They accepted Jesus as their Lord and savior and clung to his promises. Since then Maribel and Gastón see God working even though Thiago is dealing with heavy consequences. He is blind, mentally challenged, and has to be fed via a tube. Due to the difficult problems with Thiago the parents unintentionally neglect their other children. A missionary of the MANNA project visited them and the siblings were added to the MANNA program. The family is so grateful to God for that but also to the sisters and brothers who have made this possible through their donations. In October, about 70 MANNA staff members from nine different churches got together for an annual meeting. 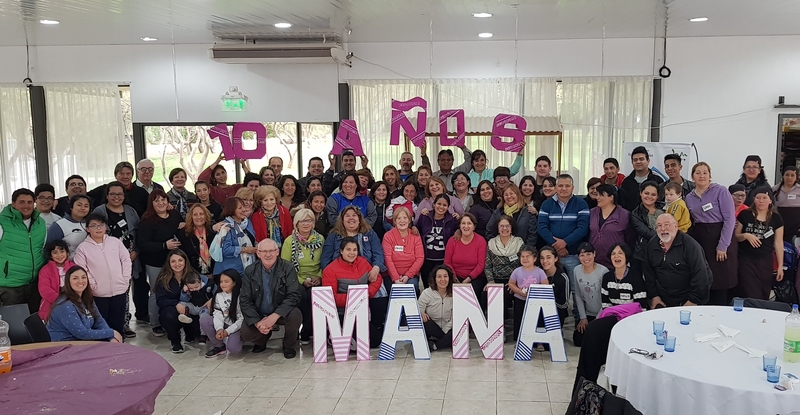 They celebrated their 10-year anniversary of the MANNA project! So many children and families have received help during this time! Carlos Waldow, EBM regional representative for Latin America, talked at a pre-conference at the University Mendoza (Argentina). The topic was “Peace in This World”, and how EBM INTERNATIONAL is supporting projects that are contributing to it. He has been invited to talk again at the conference next year where representatives from different universities, religions, and organizations will be present. There EBM INTERNATIONAL will have a big platform to call attention to their worldwide and long lasting commitment to contribute to peace in this world.